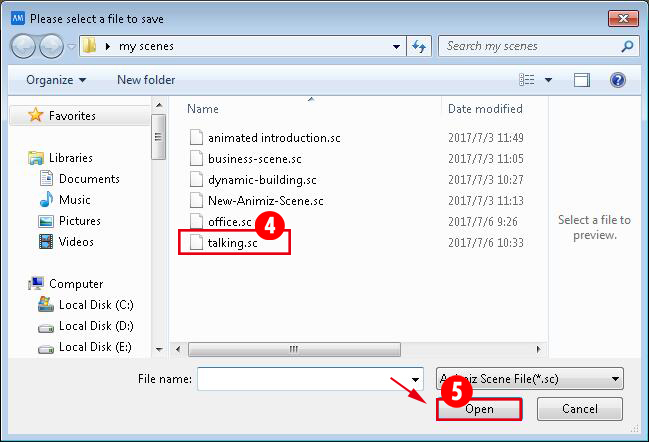 In Animiz projects, you can freely copy, delete and replace a scene. 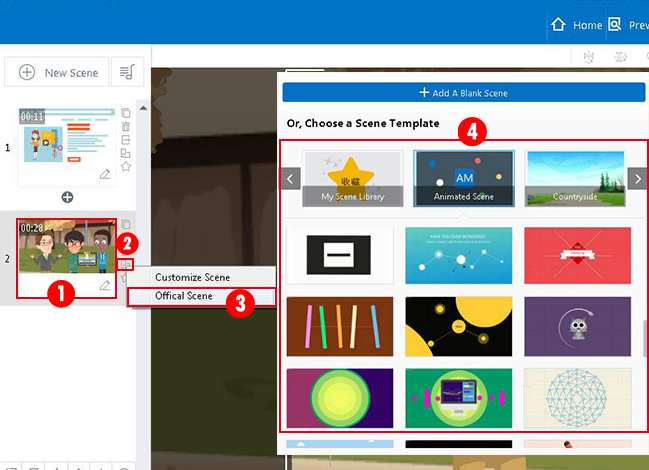 Simple clicks you can make your project more engaging. 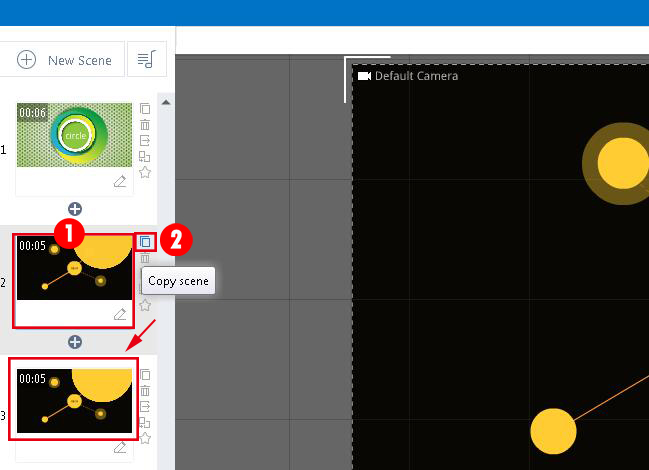 Click the "Copy Scene" icon at the top-right corner of your added scene, you then can have a copy scene at the scene interface. Or, at the bottom of scene interface, you can click the "More" option, then select "Copy Scene" button to have a copy scene. 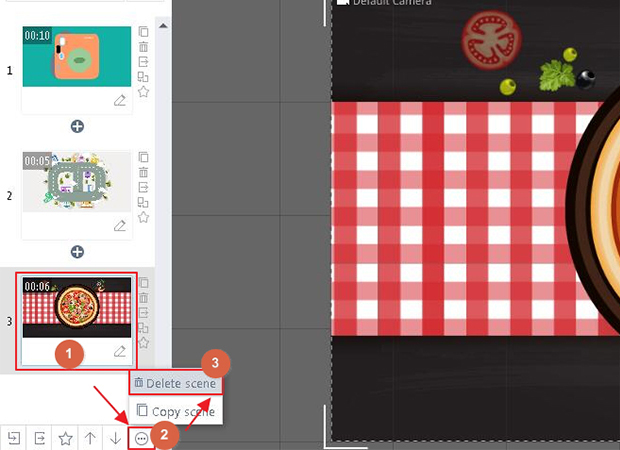 A "Delete Scene" icon at right side of scene, click it you can then delete the scene. 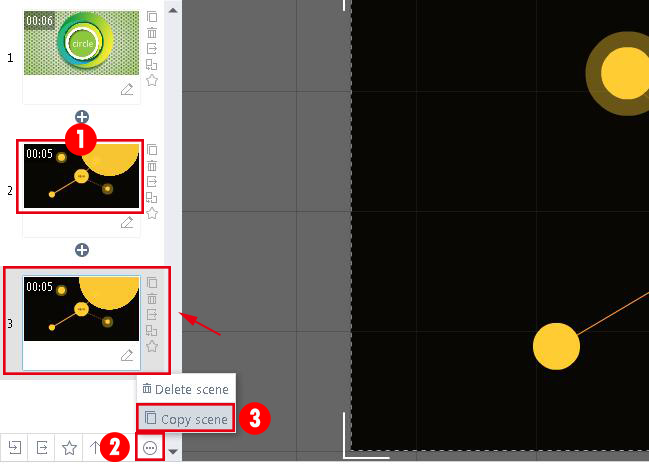 Or, at the bottom of scene interface, you can click the "More" option, and select "Delate Scene" button to delete scene. 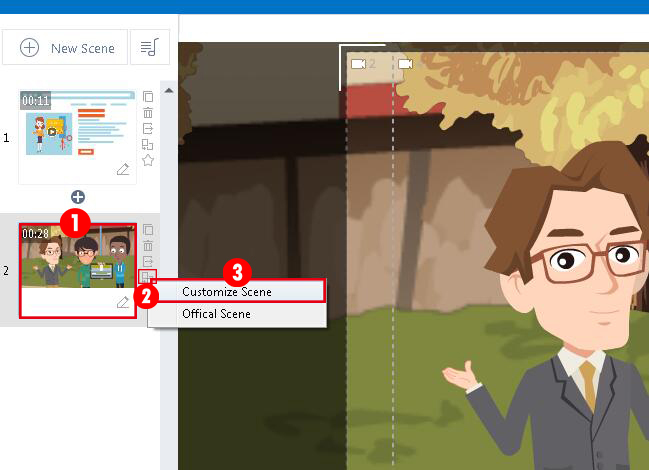 As you want to replace another scene in project, just click the replace scene icon and open your own customized scene or official scene. 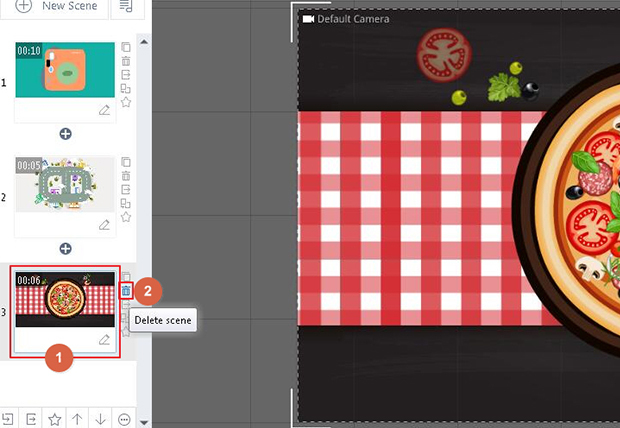 Previous： How to add a new scene in your project? Next：How to import and export scene?